We are always looking for wonderful new members! The Liberty Belles Chorus is more than just an a cappella ensemble. It is a family. We love getting together each week, working hard to support and complement each other in "a blend of friendship" and create great music by ringing chords. Come discover your INNER DIVA! Sit in on our rehearsals! It's the perfect way to find out more about us, and what we can do for you! You'll be invited to sing with our group on the first night. 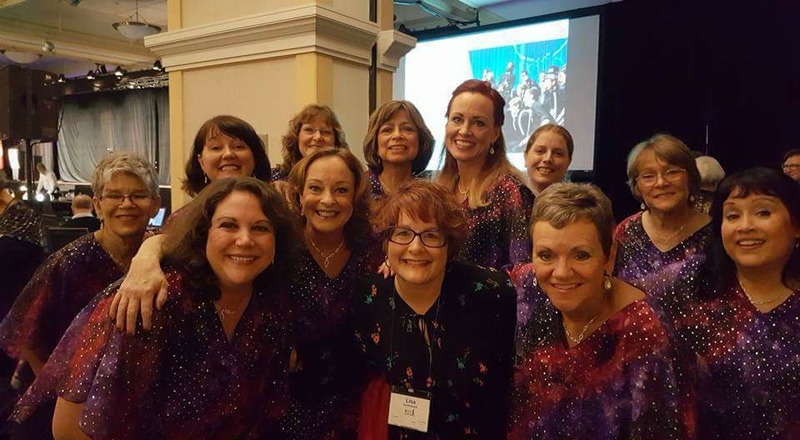 You will learn excellent singing skills and join in on the great harmonies, rich music, friendship and fun for which The Liberty Belles Chorus is known! Are you a singer? looking for a great place to sing? Come out and share your voice! We have open rehearsals and auditions weekly.